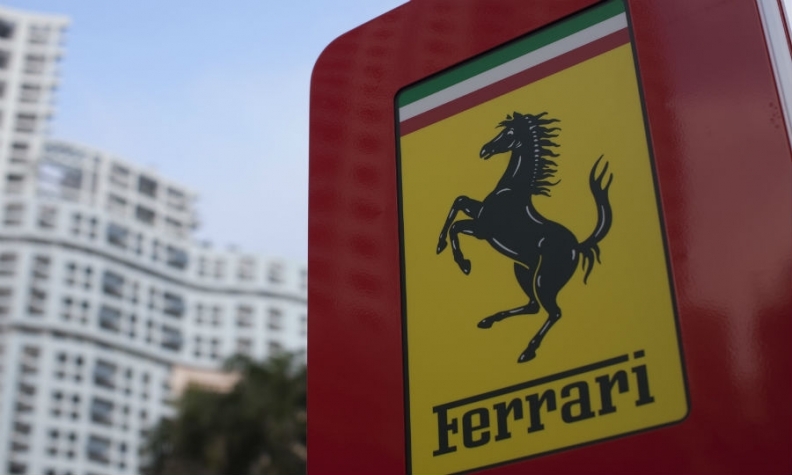 MILAN (Bloomberg) -- Ferrari’s coveted status as a maker of cars for the super rich is helping push up its value in an initial public offering to as much as 11 billion euros ($12.4 billion), people familiar with the matter told Bloomberg. Based on talks with possible investors, Ferrari could be valued from just under 10 billion euros to 11 billion euros when owner Fiat Chrysler Automobiles sells a 10 percent stake in the division on the New York Stock Exchange, according to the people, who asked not to be identified because the arrangements are private. An IPO price range will be published in an updated filing as early as Friday, and presentations to possible buyers are slated for next week, said the people. The valuation may change amid market volatility since Volkswagen AG’s diesel-testing scandal emerged last month, they said. Fiat Chrysler CEO Sergio Marchionne, who’s also Ferrari’s chairman, has insisted for months that the brand should be valued as a luxury-goods maker, such as clothiers Prada SpA or Hermes International SCA, and not as an auto manufacturer. Those companies trade at over 20 times operating profit, more than twice the average valuation of carmakers. “A luxury multiple is justified due to Ferrari’s capital intensity, profit margins at scaled unit production, operating leverage and price inelasticity,” said Adam Wyden, founder of ADW Capital Partners LP, who owns Fiat Chrysler shares. Ferrari may be valued in a range of 12 to 14 times expected 2015 earnings before interest, taxes, depreciation and amortization, one of the people said. Ferrari, which will be listed in New York under the ticker FRRI, posted adjusted Ebitda last year of 693 million euros after generating a margin of 25 percent of sales. Profit rose 8.9 percent in the first half of 2015. Representatives for Fiat Chrysler and Ferrari declined to comment. Ferrari, which has made a point of restricting sales to preserve its models’ high-end reputation, is set to push the boundaries of its exclusivity with plans to increase production of cars such as the 235,000-euro 488 Spider convertible to 9,000 cars in 2019 from about 7,200 vehicles last year, according to a Sept. 22 filing. The carmaker had previously set its limit at about 7,000 cars a year. “Ferrari is a legend” because of the value of the brand and its track record on profitability, said Lapo Elkann who, along with his brother, Fiat Chairman John Elkann, is part of the Agnelli family that controls the auto manufacturer. At Ferrari, “you don’t sell a car, you sell a dream,” he said in an interview in Milan. UBS Group AG, Bank of America Corp.’s Merrill Lynch, Banco Santander SA, Mediobanca SpA and JPMorgan Chase & Co. are advising on the IPO.